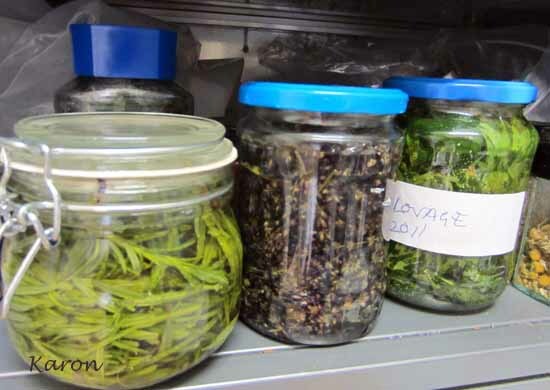 Making your own herb oils is easy. 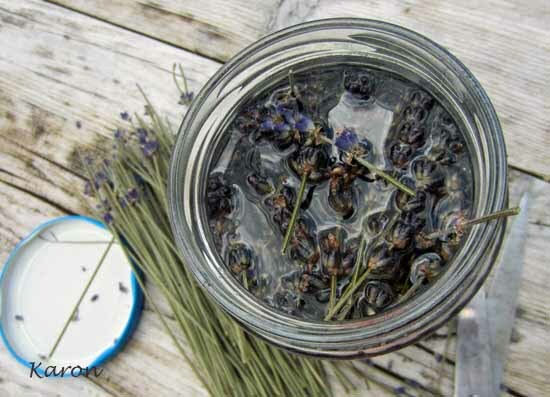 Why buy expensive essential oils if you can make your own delightful oils for pennies. Okay so this is not the purest of the pure, you are not using highly refined oils etc. This is just you making the most of your herbs and having something wonderful to use all year round. You’ll need lots of lavender, you want the heads here, either dried or fresh. You also need a glass jar with a well fitting lid (and of course the purists will recoil in horror at this point and insist that you use dark glass bottles, er no, you are going to put this gorgeously full jar of goodness into a dark cupboard so glass colour is irrelivent), sunflower oil. 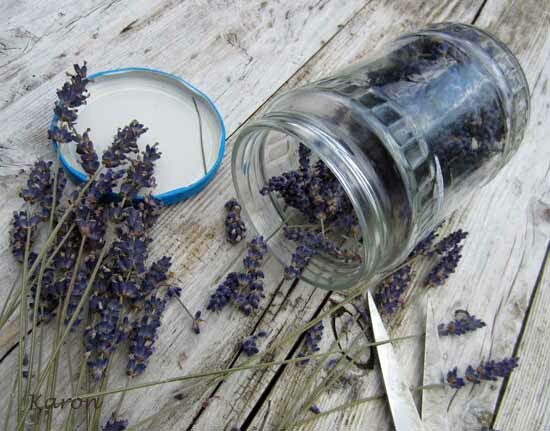 Snip off the flower heads and fill your jar, really cram those guys in there. Now start pouring in the oil and shake as you go so that it gets right through all the flowers. Cover the flowers with oil . Pop your jar into a cool dark cupboard and shake every day for first week or so, then just leave it to mature and let nature do the rest. 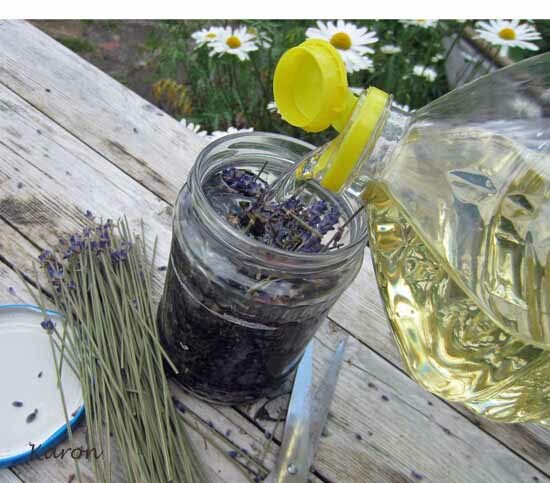 After about 2 months you should have beautifully fragranced oil as all the goodness of the lavender will have soaked into the oil. Strain off the herbs and bottle your oil in those cute little brown bottles I just know you’ve been saving for just such an occasion! You can do this with any of your herbs. Just now I have mint, lovage, rosemary and marjoram oils stewing away. I really like this story on makeing oil’s as I live where there is alot of lavender in this area of Washington St.
how would i go about making coconut essential oils? Thankyou for the recipe,lavender is my favorite.